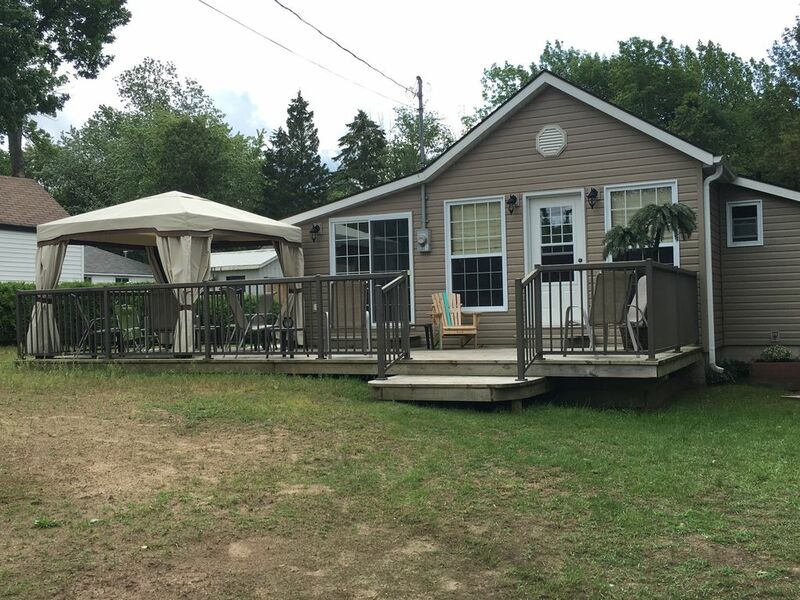 This is our cozy 2-bedroom Cottage located in Sauble Beach, 30 seconds to the river and a 10-min walk to the beautiful sandy beach. The Cottage is nicely updated and very comfortable. There is a double bed in one bedroom, a single bunk bed in the other. Pull-out double sofa bed if needed. Sauble River Marina is a 5-min walk away, where they rent stand-up paddle boards, canoes, kayaks, and paddle boats. There is a grocery store 5 minutes walk away, with fresh meat and fish. The larger grocery store is 7 minutes’ drive away. Very charming cottage! Immediately comfortable and cozy!